The old adage promoting “everything in moderation” may be particularly popular at Wine-O’Clock and Happy Hour, but researchers are warning that the message should not apply to alcohol. The latest buzzkill comes from researchers at the Washington University School of Medicine in St. Louis. Their study, published Wednesday in the journal Alcoholism, evaluated 400,000 people and found that those who imbibed four times per week were 20 percent more likely to die prematurely, even if they only had one or two drinks each day. “Daily drinking, even at low levels, is detrimental to one's health,” the study concludes. Earlier research had suggested a link between light drinking and improved cardiovascular health. The researchers say that those previous findings may be valid but that people need to look at the bigger picture. “It used to seem like having one or two drinks per day was no big deal, and there even have been some studies suggesting it can improve health,” lead author Dr. Sarah M. Hartz said in a statement. 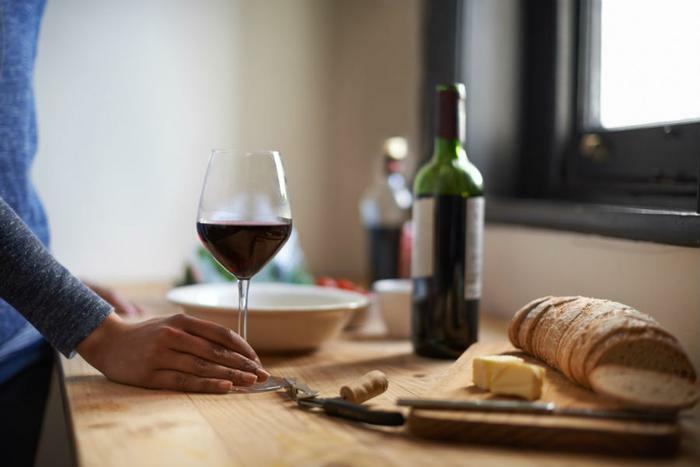 While Hartz acknowledges that there may be situations in which “occasional drinking potentially could be helpful” depending on a person’s individual health history, she says that the general idea that a glass or two of wine is healthy is misguided. Her work follows a study published this year in The Lancet which also claimed that no amount of drinking is safe.